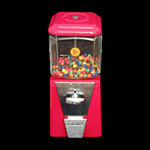 The GumBall Guy - Fully Restored Vintage Gumball and Candy Machines - Parts and Supplies. 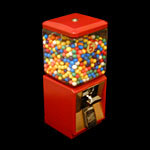 Miscellaneous parts for gumball machines available, please email your request on the order form below. 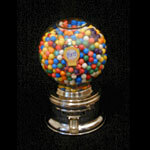 Most penny gumball machines will use the 3650 count per case gumballs. Ford machines will use either the 1900 or 3650 count per case. They do not interchange. 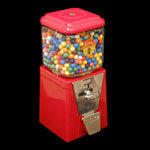 Chicklets and other vending products available. Please email your requests. Nice original condition, cleaned and serviced. Nice original condition, cleaned and serviced. Takes various types of M&Ms or Chicklets. All machines are guaranteed mechanically for 5 years. Machines are also available in "as found" condition for self restoration. 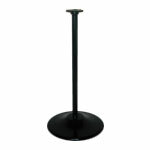 Other types of finished machines are available in limited quantities. All prices plus shipping at actual cost. For use with all machines except Ford. For use with Ford machines. Allows the placement of two machines on a single base. 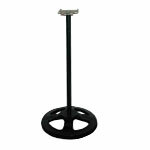 Allows the placement of three machines on a single base. For use with most machines. 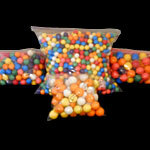 $25.00 per assorted 100 charms. 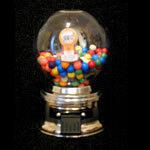 Click the submit button to send the above information to the Gumball Guy. 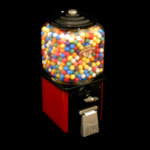 The Gumball Guy will contact you upon receiving your order. Cashiers checks, money orders, and personal checks accepted. Personal checks held for clearing, prior to shipment. Paypal preferred for immediate shipment.